There used to be a time when 0.7MP VGA cameras in smartphones were all the rage. Fast forward to 2019 and we already have a few phones that sport camera resolutions as large as 48MP. 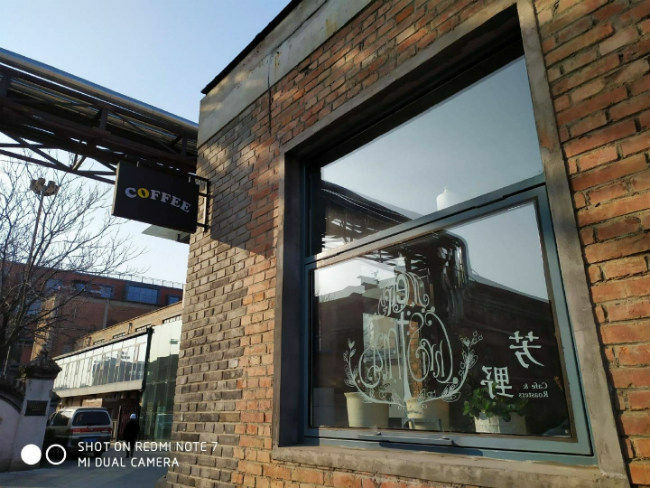 The Honor View20 gave us a taste of what true 48MP looks like on a smartphone. But for Rs 37,999, it’s certainly quite expensive and naturally, not many will be able to afford it. Xiaomi, however, plans to empower even a mid-range phone user with a high-resolution camera. Enter the Redmi Note 7, the independent brand’s first phone of the year that is expected to launch on February 28 in India. The phone is already selling out in every flash sale in China where it launched starting RMB 999, which roughly converts to Rs 10,000 in India. While it’s unclear at this point whether the phone will indeed be priced so affordably, one thing’s for sure — The Redmi Note 7 is going to create some ripples with a 48MP camera for under Rs 15,000. However, Redmi approach to achieving 48MP resolution in photos is quite different from the Honor View 20’s, or for that matter, even the expected Redmi Note 7 Pro’s. Is Samsung’s ISOCELL Bright GM-1 sensor true 48MP? Samsung announced in October 2018 that it’s ready with its “ultra-small, high-resolution” image sensors. The ISOCELL GM-1 comes with 0.8um pixels which use Samsung’s proprietary ISOCELL Plus technology to optimise the performance of the tiny pixels. The GM-1 is a CMOS sensor which needs to hold as much light or photons as possible to get the best output. Ideally, the amount of light can be increased by increasing the ISO which is nothing but increasing the sensitivity of the sensor to capture more light. But the downside of this is that with higher sensitivity, the sensor is also prone to capture more noise, thereby increasing the noise to signal ratio (signal here refers to the amount of light captured). Samsung’s ISOCELL Plus, however, can isolate pixels using a different architecture. More than that, the GM-1 sensor also supports Samsung’s Tetracell technology, another in-house tech which basically merges four pixels into one to increase light sensitivity. By doing so, the GM-1 sensor can capture light equivalent to a 1.6um pixel image sensor, but at 12MP. 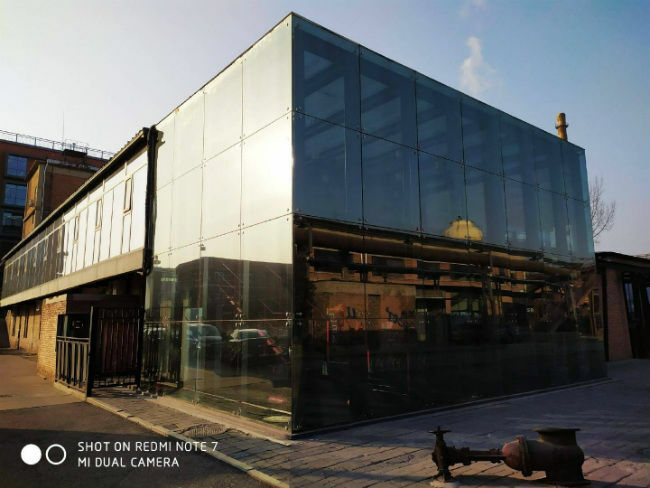 The rear camera on the Redmi Note 7, as a result, uses the full size of the 1/2-inch sensor but captures light in large 1.6um pixels, thereby delivering photos of 12MP resolution, but with details similar to what a 48MP sensor will capture. The Specs are available at Samsung’s website. This is apparent if you check out the specs of the ISOCELL GM-1 sensor on Samsung’s website. There the native resolution supported by the sensor is stated as 4000×3000 pixels which are 12 million pixels. 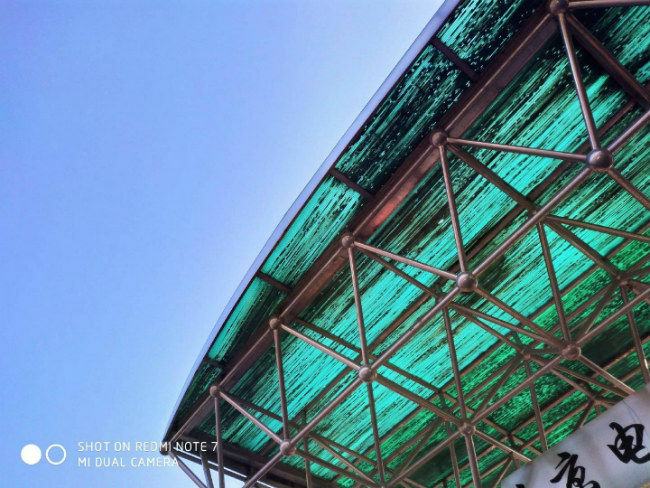 How is Redmi Note 7 able to deliver 48MP photos? Now, here’s the fun part. While the native resolution of the Samsung GM-1 sensor is 12MP, it can still output images of 48MP resolution. How you may ask? It’s nothing but software interpolation. As apparent from the countless hands-on videos available on the web, the Redmi Note 7 only allows one to take high-resolution 48MP photos in the camera’s pro-mode. That’s because the 48MP resolution is achieved via software interpolation. While the regular photos rely on the 2×2 grid arrangement of the pixels (resulting in large 1.6um pixels) to deliver more details in the photos, the 48MP resolution is achieved by further breaking down the sub-pixels into 0.4um pixels. Technically, this should give you more details if you zoom in, but since the size of the pixel now capturing the photo is now lesser, the brightness and vibrance might not be as much. 2×2 arrays of 0.8um pixels combine to form large 1.6um pixels to deliver more details. It’s difficult to determine the difference between a 12MP output and a 48MP output from the phone till we actually get our hands on one, but camera samples posted on the Mi Forum shows promise. It’s unclear whether the photo was captured in 12MP or in 48MP. Nevertheless, the image samples look pretty stunning for a mid-range phone. However, most of the samples we have seen are shot in the day. It would be interesting to see how the 48MP sensor performs in low-light. Theoretically, there should be a high trade-off in terms of quality and the amount of light captured when shooting in 48MP under low-light since the sub-pixel size is much lesser. Should you go for the Sony IMX586-sporting Redmi Note 7 Pro instead? While not officially confirmed, leaked specs of the upcoming Redmi Note 7 Pro revealed the phone will also come with a 48MP camera, but with a Sony IMX586 sensor instead, the same sensor found in the Honor View 20. The phone is also expected to introduce the Qualcomm Snapdragon 675 SoC in India, which supports 48MP sensors. Technically, the Sony IMX586 sensor is more promising than the Samsung sensor, at least on paper. While the Samsung GM-1 uses software interpolation to boost the resolution to 48MP, Sony’s sensor can do it natively. The Sony IMX586 uses what is called a Quad-Bayer pattern to accommodate 48 million RGB pixels in the 1/2-inch sensor. That’s as high as it can go for smartphones at present. Now, to capture colour, camera sensor requires what is called a Bayer filter on top of the photosensitive element. 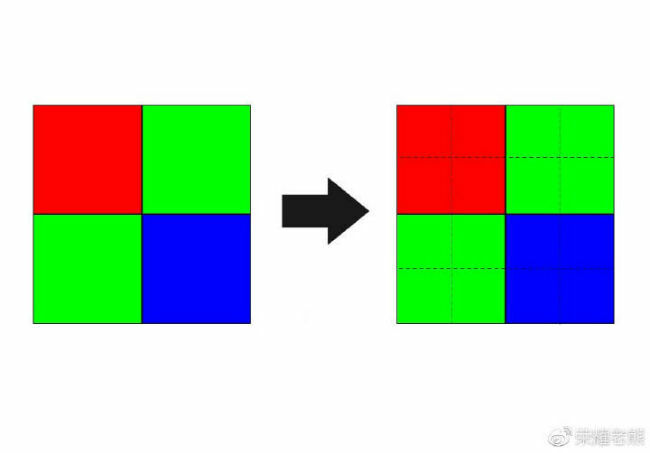 The Bayer filter consists of square colour filters, with each square assigned for a specific colour — Either red, green or blue. The red filter block will only allow red light to pass, and similarly, the blue filter will only allow blue to pass. Once the colours are filtered using the Bayer Filter, they are restored by the ISP to bring you the bright, colourful and vibrant images you like. In case of the Sony IMX586, the Quad-Bayer array and the photosensitive element below it can deliver data straight out of the hardware independently requiring no software interpolation. The Samsung sensor also uses the Quad-Bayer array on top of the photosensitive element, however, the GM-1 breaks each Red, Blue and Green pixel into four smaller pixels (of each) which allows it to output an image with an effective resolution of 48 megapixels. Chances are, both the Redmi Note 7 and the Redmi Note 7 Pro will take far better photos than their predecessors, but in case of the Redmi Note 7, keep in mind the high-resolution is achieved via software, while in case of the Redmi Note 7 Pro, the 48MP is the native output of the camera. There will be a lot of other things that needs to be taken into consideration as well to determine the camera quality — The lens used, the ISP in the phone and more. The results might also differ in different lighting conditions. Furthermore, Redmi is expected to implement it’s AI-based scene recognition technology to further tweak the image quality. Naturally, all this has made us super excited to get our hands on the upcoming devices and come February 28, when the Redmi Note 7 and the Redmi Note 7 Pro are finally unveiled, we will know for sure.